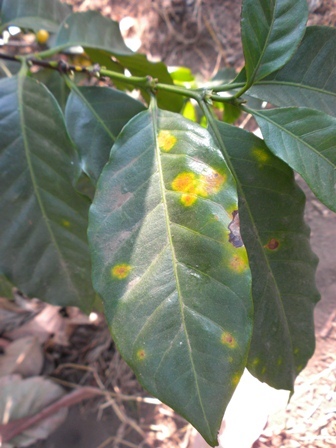 It is true that leaf rust has caused major damage in the coffee sector. And it will cause more in the next harvest season. Estimates account around 40% less production for the 2013-2014 crop. Just in Guatemala (but estimates are similar in Central America), 70% of the total production has been hit by the Hemileia Vastatrix fungus. 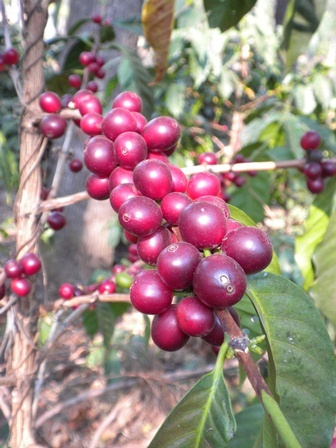 In an article I wrote in October 2012 for Coffee Universe (Coffee rust: from myth to reality) you can explore a bit more about history, the characteristics and controls of the disease. From pale yellow to orange and brown spots are created by leaf rust fungus. But in this particular note, I would like to share with you some of the reactions in the sector, and also give you my point of view. 1. Emisoras Unidas (Tuesday 29th). The radio news station published an article where Minister of Agriculture was to declare national emergency in February 8th”. According to representatives of the Guatemalan Coffee Growers Association, “around $1,170 million would be lost in foreign exchange”. People that commented the news were 21. Three of them reacted negatively expressing their nonconformity that the government provided any type of aid or economical support to the sector. All the rest suggested ways to combat it and ideas on how to control it with shade, pruning and application of fungicides. I thought this was a positive sign to the sector because of two reasons: growing coffee is no longer a luxury of accommodated families, but more an more it has become a viable business for thousands of small to medium growers. And second, there is awareness that coffee impacts a country in many ways being the economically, socially and environmentally perhaps the main ones. I just hope that the government aid is not determine by political interest. It is a major infection and it does not discriminate social, cultural or political preferences. 2. I understand that as owners of a business, growers should do their best efforts towards taking care of their plantations and they should watch after those diseases that are so harmful. 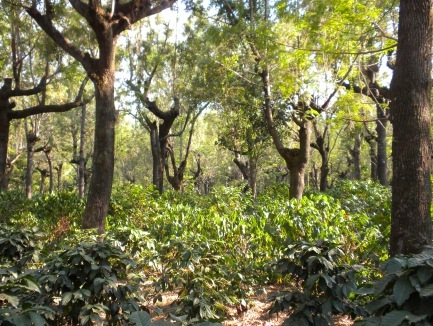 I also know that those that dedicate to coffee production and understand their business, will for sure invest in their plantations even when prices hit the lowest because they have learned that coffee is a biannual product; prices depend too much on supply and demand; most of the time prices are low; and, it is an agricultural product that implies risks. Leaf rust has always been in areas with favorable conditions for the disease. The difference now is that with the intense rainy season (like those in 2011), conditions of humidity and sudden sunny and warmer days were even more favorable to the fungus to propagate in a very aggressive way. Now it has attacked coffee grown at 1400 Meter above seal level. I think that just like in the coffee crisis in 1999, due to low prices, only those efficient and professionalized growers will succeed in controlling leaf rust. Those that grow coffee without understanding the variables, risks and conditions of the business, will be harmed and will have to quit. 3. There has been much information regarding the reasons and variables that caused leaf rust outbreak. And for sure it will help to learn more about the disease for the future and how to control it better. Some say it is due to modern growing techniques (i.e. how far the trees are planted from each other, nutrition, etc), but others blame use of pesticides because they kill all the ecosystems in the coffee tree (such as Azteca ants, scales, catarinas and white halo fungus that control rust as Ivett Perfecto from the University of Michigan explain during III IWCA-Guatemala); while others just blame the weather change. Now, in my opinion, growers should use all of this information to act now, with the right decisions and adapt. I heard about leaf rust and saw its devastated power end of 2011 and it is until now that some growers are asking their coffee associations what to do. Santa Felisa (an organic farm I work with advising and marketing the Reserva Especial On-line auction) started with leaf rust attacks and did not rested until seeing it controlled. In less than a year, they started using organic fungicides and ended applying systemic even if they had to give up their organic certification in order to save the farm. If you visit their farm today, you can see a successful story of prompt attention, follow up, research, experimentation, professionalism and marketing responses focusing now to differentiate their coffee by processes and varieties. What would have happen to the farm if they waited for a response in 2013? As a mechanism of defense, the plant eliminates the infected leaves. Photosynthesis is stopped and thus the maturation of the cherries is uneven. In the photo, a healthy plant still to harvest 2012-2013 crop. ES MUY IMPORTANTE QUE AL EVALUAR EL ATAQUE DE LA ROYA SE EXAMINE PRIMERO LAS RAMAS QUEDAN CONTRA EL SUELO,ES ALLI DONDE SE PUEDE EMPEZAR A DETERMINAR EL PORCENTAJE DE INFESTACION QUE SE TIENE EN EL CULTIVO. Jose, muchas gracias por el comentario. Efectivamente ese es un buen parámetro. Recién hoy se dio a conocer en Brazil que OIC pide ayuda y solidaridad para con Centro America por este ataque que además conlleva un impacto social bastante grande. Véalo aquí: http://noticias.emisorasunidas.com/noticias/internacionales/oic-pide-ayudar-centroamerica-combatir-efectos-roya ICO requests help and solidarity for Central America’s rust crisis during Brazil´s meeting.